THE ALLIED BY FARM KING BINARY SNOWBLOWER OFFERS TWO IMPLEMENTS IN ONE MACHINE. Farmers are making the most of their equipment assets and the new Allied by Farm King Hydraulic Snowblower offers the flexibility to be used on a skid steer or a tractor with a PTO and 3-point hitch. By removing a few bolts and changing some hardware, the hydraulic snowblower can be used on a traditional farm tractor. 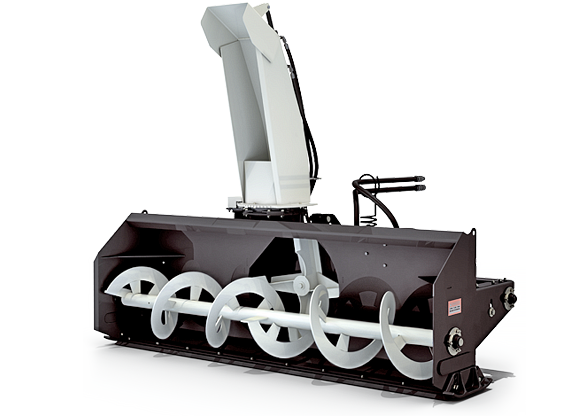 Allied by Farm King Binary Snowblowers are available in sizes ranging from 50" to 84" widths.